The Phi Phi islands are a group of 6 islands close to Phuket. Koh Phi Phi Leh is the most famous one because of it’s appearance in the movie The Beach wit Leonardo Di Caprio. 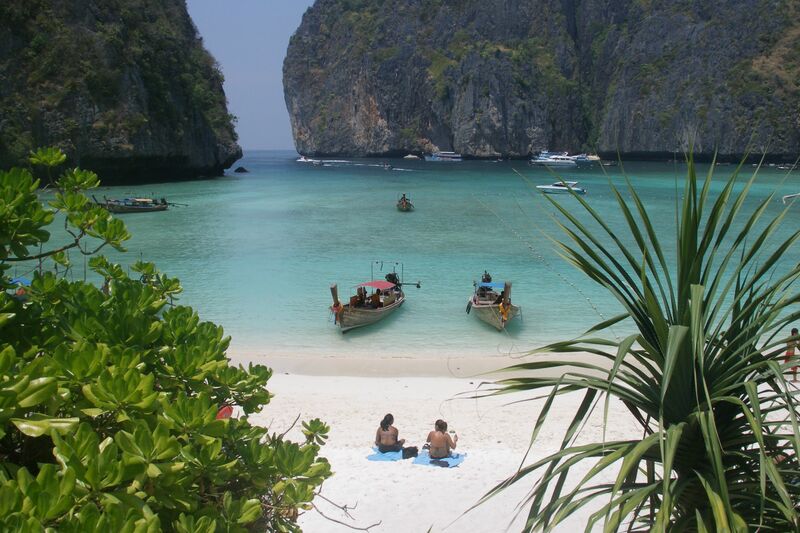 The famous Maya Bay on Koh Phi Phi Leh can be visited with a island hopping speedboat trip from nearby Phuket island. The last 2o years Koh Phi Phi has become a popular tourist destination within Thailand. Koh Phi Phi Don is the only inhabited island of the Phi Phi islands group.